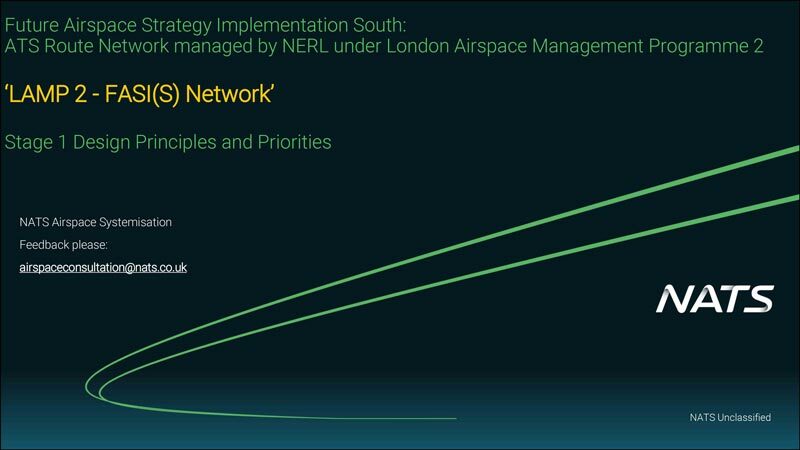 In line with the CAP1616 process, NATS are undertaking a formal consultation on the design principles and priorities for the London Airspace Management Programme 2 airspace changes. NATS have published a presentation outlining the design principles for the airspace change and want to hear comment and feedback from the GA community. The e-mail address for all comments is included in the slides and also below. 1700 on Wednesday 11th April 2018 at the latest.